FAST FACTS: He started his sixth race here from 14th place after the team elected to qualify on primary tires to save a set of red alternate tires for the race. On the opening lap, Will Power, who was later penalized with a drive through penalty for avoidable contact, squeezed Josef Newgarden in Turn 4 and the two made contact. 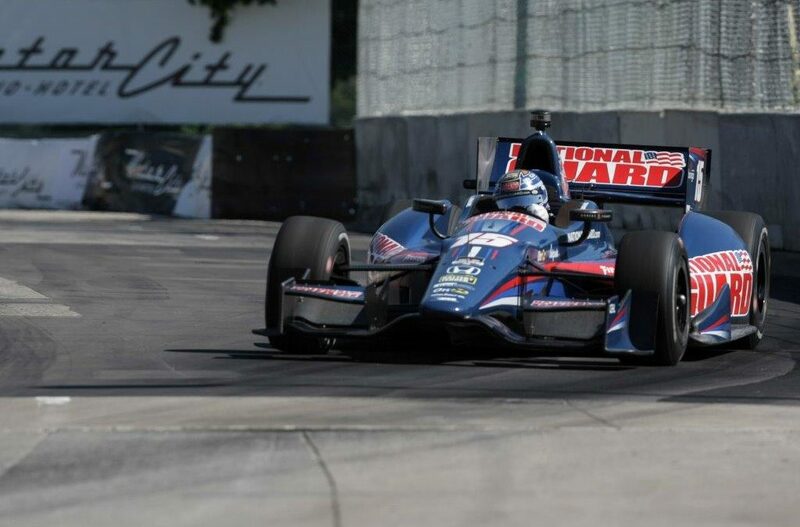 Rahal was behind the two and had no where to go and hit Newgarden before Justin Wilson ran into the rear of the No. 15 entry which resulted in gear problems. By the time the team replaced the front nose and repaired the gear sensor, he returned to the track seven laps down. He ultimately retired in 21st place after he brushed the wall and damaged his suspension after completing 43 of 70 laps. Yesterday he started his fifth race here from ninth place, led 10 laps and earned his best finish of the season of second place to Will Power in Dual 1 in Detroit and set the fastest lap of the race with two laps to go. NEXT UP: The Firestone 600 will take place next Saturday night, June 7 at Texas Motor Speedway (TMS). Graham Rahal’s best start of third and finish of second came at TMS in 2012. RLL has earned one pole at TMS (Scott Sharp 2007), made two front row starts and the team’s highest finish is second place with Vitor Meira in 2005.